First post from the new house... just skimmed thurday's market action, not up to speed enough yet to offer an opinion and my charting computer is not back online yet. Still have several days of organizing to do to get caught up, hope to be back with everyone fully by the end of this weekend. Great thread without me, really appreciate the market updates and input. Thanks! Have a great Friday and weekend, once I get the house and my office organized I'LL BE BACK! I am in the process of moving and will start a market thread for Thursday and one again on Friday, but will leave it up to you to update one another with what's happening in the economy and markets. Thanks for sharing your input and knowledge! By Monday or sooner I'll be back at it again, someone has to keep the pressure on! Monday’s big down day was a 93% down volume day, the second 90%+ day inside of a week. That is usually a marker of a powerful bear market, but it’s also an indication that the market needs a little rest. But the back and forth motion yesterday caused another small change in the McClelland Oscillator and thus we can expect a large change in price most likely today or tomorrow – direction is unknown from that very reliable indicator. With the FOMC today, I was completely neutral at yesterday’s close and do not intend to play with the criminals today unless the FOMC presents a good entry opportunity which it may. 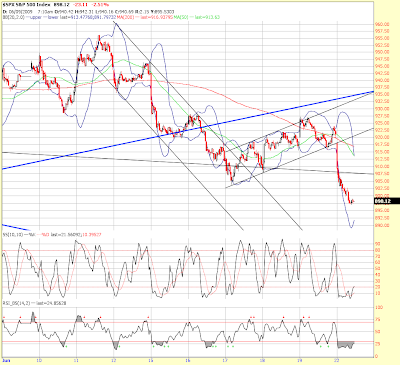 I believe that this morning’s bounce will make wave 2 of 3 down. If my working count is correct, then 3 of 3 should follow sometime in the next few days. 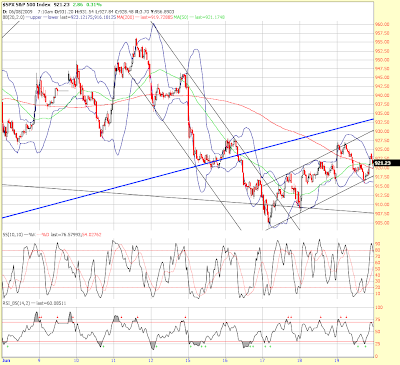 The short term stochastics still have room for more upside here. The 901 SPX area currently has both the 50 and 200dma in that area, so it may offer up a little resistance, but I will not be surprised if it is thrown over – in fact, that area as I type has just turned away the futures advancement. The June 19 week was a good one for purchase applications which jumped 7 percent to 280.3, a still depressed level but a rare, solid improvement for the index. The refinancing index also rose, up 6 percent to 2,116.3. The applications activity is tied to a turn back down for mortgage rates. Thirty-year fixed mortgages averaged 5.44 percent, down 6 basis points in the week. Home sales data in general have been firming the last couple of months, raising talk that the housing sector has finally hit bottom. New home sales for May will be posted at 10:00 ET. Durable goods orders also rose month over month, giving the on air heads something to flap their lips about. Of course they are likely not to mention the year over year figures which are down a mind numbing 23.3%! Hey, we just learned that Japanese exports fell again and are now down more than 40% year over year! Oh yeah, greenshoots galore! But Econoday and others have to put their best spin on it, how else will they garner their sponsor’s money? New factory orders for durables in May came in unexpectedly strong – even after discounting transportation. Durable goods orders increased 1.8 percent in May, following a rebound also of 1.8 percent drop in April. The boost in April initially had been estimated to be 1.7 percent. The May gain came in well above the market forecast for a 0.5 percent decline. Excluding the transportation component, new durables orders posted a 1.1 percent boost after rising 0.4 percent the month before. The rebound in new orders was widespread but was led by machinery, up 7.7 percent, and transportation, up 3.6 percent. Also making gains were primary metals, and computers & electronics. Declines were seen in fabricated metals, communication equipment, electrical equipment, and "other." Year-on-year, overall new orders for durable goods improved slightly to down 23.3 percent in May from down 24.5 percent the previous month. Excluding transportation, new durables orders rose to down 22.4 percent from down 23.6 percent in April. The May report on durables orders showed broad-based strength for new orders. While the gain in new orders will take a little time to impact production, the latest numbers add to the argument that the recession's bottom is near. 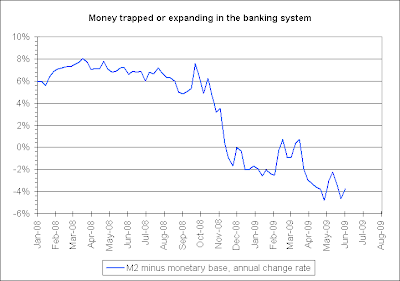 This still does not change the likely fact that the recovery will be sluggish. Nonetheless, equities should like today's numbers. 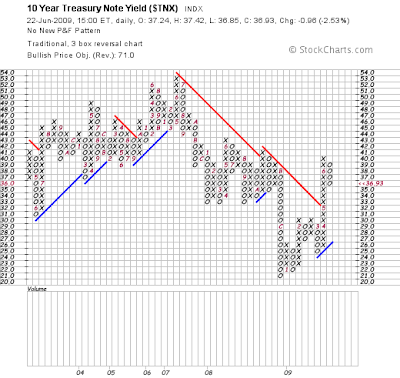 Treasury yields firmed on the news. New home sales come out at 10 Eastern, the FOMC announcement at 2:15 Eastern (11:15 Pacific), and of course there are bond auctions galore today and tomorrow to finance our “Fed’s” folly. Today I get serious about my move tomorrow. I’ll only be with you online off and on until about the FOMC announcement and then I begin disconnecting my computers and packing up my office. Moving, unpacking and arranging the new house, and taking care of the current house will take me out of the blog world through the weekend. Before I unplug I’ll post a market thread for tomorrow and once again appreciate your patience with me as I literally get my house in order! Hey, make sure you follow along with Point, Seth, Maize, Frank, Glass (where you been? ), Joe, Nola, Comrade Wanna-be and others… they’ve been on a roll lately and especially Point’s red hot reports and Seth’s laser beam NASA moonbat calls, those guys are on FIRE! Watch that little trendline… it will be interesting to see if it breaks and goes lower or if it finds its footing and rises. Retail sales continue to be weak in June, according to ICSC-Goldman's same-store sales tally that is unchanged in the June 20 week for a very weak year-on-year decline of 0.9 percent. The report cites recessionary conditions and wet weather for the trouble. It does note that the approach of warm weather could give the month a late lift. Excluding Wal-Mart which no longer issues monthly data, the report sees a very steep May-to-June decline of 5.0 percent. Redbook, up at 8:55 ET, has also been warning of a very steep month-to-month decline. June retail sales are very weak, according to early reports including Redbook's tally that shows a 4.2 percent year-on-year decline in the June 20 week vs. the year-ago week. Redbook estimates the May-to-June drop at a massive 4.4 percent. But both Redbook and ICSC-Goldman do offer a note of optimism, saying sales at month-end could pick up significantly if warm weather forecasts prove true. Got to throw the optimistic line in there for those participating in Economic Mass Psychosis. Existing Home Sales rose 2.9% in April month over month but was down 3.6% yoy which is an increase from down 3.5% the month prior. Inventory of existing homes rose as well, showing no evidence that a rebound is imminent, of course. Existing home sales rebounded 2.9 percent in April, after slipping 3.4 percent the month before. 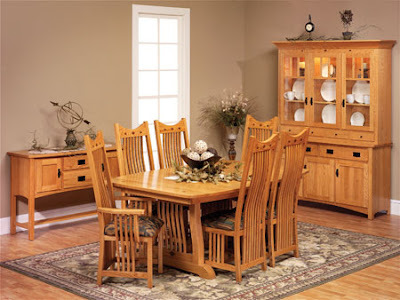 The April sales pace of 4.680 million units annualized was nearly flat at minus 3.5 percent. Supply on the market was a negative in the report, rising to 10.2 months at the current sales rate compared to 9.6 months in March. Looking ahead, pending home sales have risen three consecutive months, including a 6.7 percent boost in April. Pending home sales tend to lead existing home sales by one or two months. The first-time home buyer tax credit may be providing some lift to sales. Also keep in mind that tomorrow is FOMC announcement day. That’s a huge wildcard… who knows what GAMES the Fed will play. And to those going around saying that it’s not wise to fight the Fed, my comment to them is that it is the Fed who is responsible for creating and worsening the mess we are in. Their ACTIONS are making the problems worse, and thus the more “actions” they take, the worse the outcome will be. 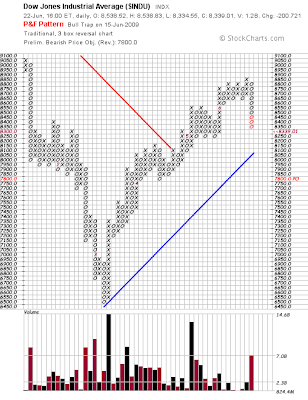 Note that the bullish price objective says 71.0… as in 7.1%!!! Yes, this is what fixed rate mortgages are tied to and remember that mortgage rates are usually up to 2% higher than this rate. Can you image what will happen to housing if that target is achieved in this environment? Ben better hope not. But the odds of that happening go UP the more he tries to buy rates down – Bernanke, the student of the Great Depression, is causing the second one. 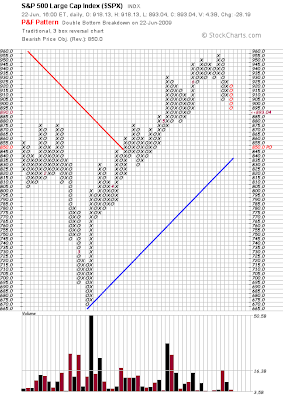 Of course the P&F targets are just computer generated pattern targets, but I would not bet against them being achieved – at a minimum, but remember that nothing moves in a straight line, there are no “direct” clearances in the markets. 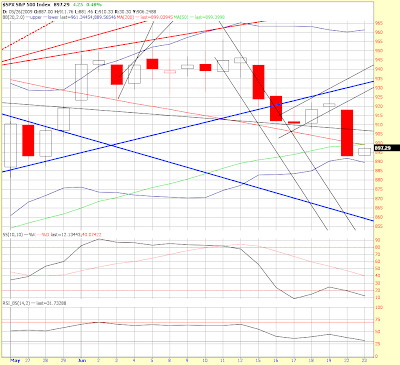 The short term stochastics are now oversold, of course, as is the daily fast. 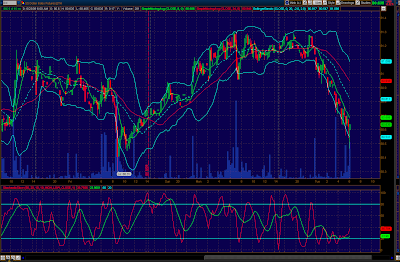 We are also already close to the bottom Bollinger bands which are now beginning to turn downward. So far this morning we have failed to rise back above the 50 and 200dma’s which are now collocated at the 900 SPX level and about to produce a bullish "holy" cross. It won’t be bullish, however, if prices remain beneath the 900 level, instead it will produce a throw-over. Now that Dylan is outside of CNBS, he is asking questions like someone who is NOT sponsored by the central banks. How refreshing to hear some hard hitting and pertinent questions that can be considered true investigative reporting. THANK YOU DYLAN, please keep it up and good luck with your new show! May you find sponsors who will stick with you, my hunch is that it won't last long if you keep asking questions like that! Not to worry, you can always start a blog and beg your readers to click on your ads, errr... I mean visit your "sponsors!" LOL! While Elliott Wave is admittedly NOT my strong hand, Yves Lamoureux has written an interesting article that offers a different bear market count from those I’ve seen and been working with. 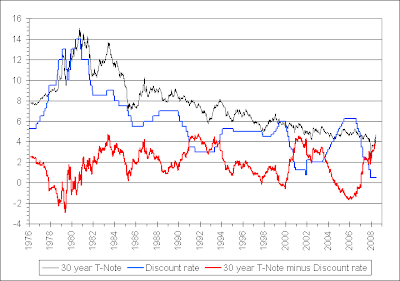 On the next graph, the spread of the discount rate to the rate of the long Treasury has never been so wide. If you had bought on a few occasions where the spread was wide as 4% between both, the resulting trade would be a winning one on most occasions. Unless you are suggesting the Fed raises rates by about 2% over the next 24 months then buying treasuries would not be a great investment. 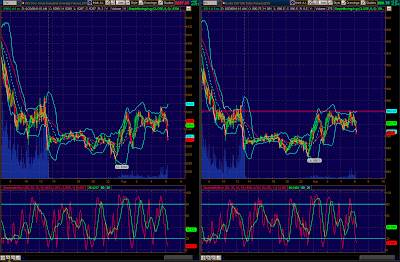 On the other hand if you believe that there is little room for the Fed to move, then long bonds are an even better bet. There is a fine line that the Fed is walking and a slight tilt of strategy can undo with great damage what they have built so far. Mild deflation is the preferred outcome and necessary one. We have sold all of our inflation hedges that we owned for the last 2 months. We are turning to deflation trades or unwind. Possibly the greatest misunderstanding in the lift off of all markets singularly correlated is a function of investment demand and not real changes from supply/demand. Realise that all markets cannot possibly beat to the same rhythm for a prolonged time. Those correlations will unwind and support real bull market where there is cause for that. In this way both the bears and the bulls are suckered into their own mass psychosis. The awakening will be particularly RUDE in my own opinion. So, this is one possibility to be on the lookout for. Either McHugh’s count or the one presented by Yves will look the same initially. In the short run I believe we are at a minimum in wave b of a larger wave B. 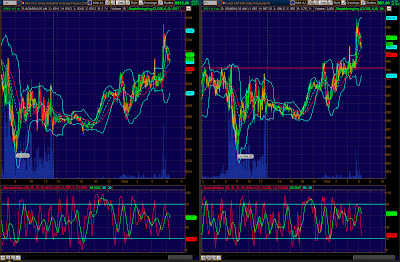 We won’t know which is the correct count until we look at it in hindsight, but for now the key level to watch is 880. A break beneath that level will put a larger correction on the table and we’ll look at the situation further if or when that occurs. Thanks to Yves for sharing his work with us! And as Yves points out, it is necessary to have enough people believe the worst is behind – Gotta love ‘em, like Alzheimer’s disease, the Economic Mass Psychosis numbs their little brains and leaves the market vulnerable to more declines – Hey, don’t stop believing! Friday’s action did not satisfy the very small movement in the McClelland Oscillator on Thursday, so I expect a large move today. If we open here, that large movement may already be close to satisfied. On that chart, I like the Elliot Wave count for the first time in months. The down move is clearly 5 waves and the corrective move up looks to me like a complete abc that started wave 3 down intraday on Friday. Now that we have broken beneath that channel, I would expect wave 3 to at least equal wave 1 which was worth about 50 points. 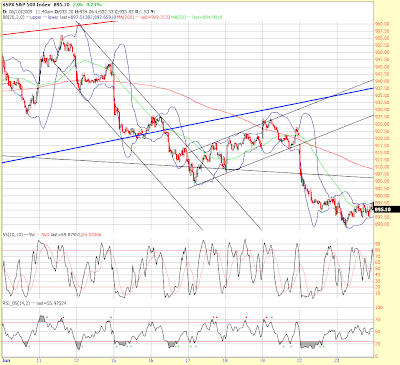 That would place wave 3 in the very strong support area around 880. 903 is the first area of support. Once 903 falls then prices are very likely to head to the next major support area which again is around 880. 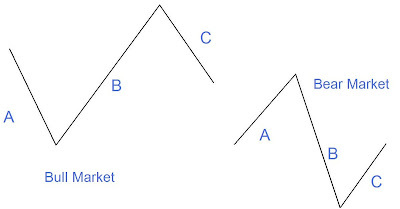 That area is the key… if it is broken then a larger correction than most people are expecting will be taking place. 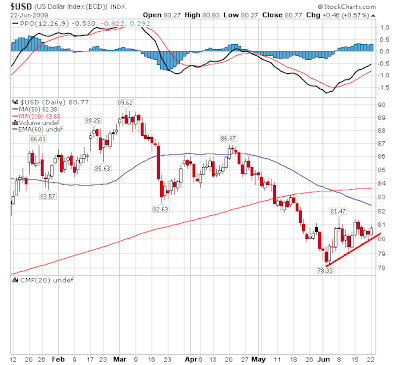 Commodities are down sharply. That is not a good sign for the bulls as commodities and technology led this rally after the manipulation in the financials (who are also manipulating oil and other commodities). Without the leadership of commodities, further rally becomes way less likely. 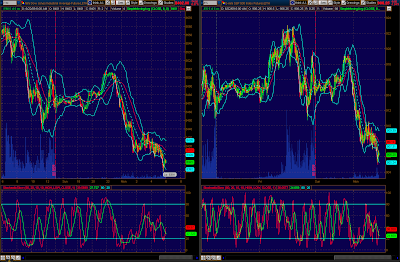 And beyond speculation, why would they continue to rally? Demand is certainly not strong, in fact it has fallen off the proverbial cliff. This weekend we learned that the Fed is going to be a buyer at today’s bond auctions, but they don’t say how much and once again we return to the fantasy of QE (printing/buying our own debt) but now without any transparency whatsoever, not that there was ever any real transparency anyway. It is my belief that the $300 billion announced by Bernanke (and supposedly only $150 billion spent so far) is just the tip of the iceberg for the amount of QE that has happened in reality. Of course they don’t want their books to be audited by an independent agency, it likely won’t happen, and we’ve all seen the video of how effective and competent the internal auditor is (not). So, the biggest weekly auction amount in history is scheduled for this week and that is the real news. More debt than there are buyers for and the Fed admits it must continue to buy its own debt. That is DEFAULT. When you can no longer finance your debts, you have failed – as in BANKRUPT! And speaking of bankrupt, California is a disaster that is not waiting to happen, it is imploding NOW. Martin Weiss wrote a good article on California and I suggest everyone read it. With an economy larger than Russia or Canada, its collapse is not insignificant, quite the contrary, it will have a very profound effect indeed. Please take the time to read Weiss’s article - California Collapsing. There is no economic data out today, but there is a bunch later in the week including the results of the FOMC meeting on Wednesday so it should be another exciting one. I’ll be moving to a new home this week, so I will be busy packing and making arrangements for that early this week and will make the physical move on Thursday. So you can expect that from Thursday through the weekend I’ll be focusing on that, obviously, and I will be completely offline at the end of the week.